One of the many reasons to go to the Maldives is the abundance of over water accommodation choices which not many destinations offer. Thanks to the calm lagoons of the Maldives! And with all the available varieties, you will thank OV Holidays for our expert recommendations and tips below. 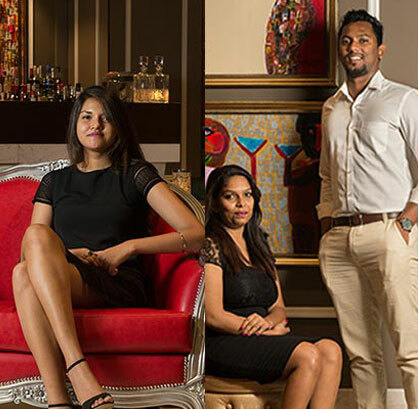 Your destination specialist will help find the Maldives Water Villa that is best for you. An elevated sense of splendor, perfectly positioned to watch memorable sunsets and uniquely built directly over the Indian Ocean’s waters at W Maldives. 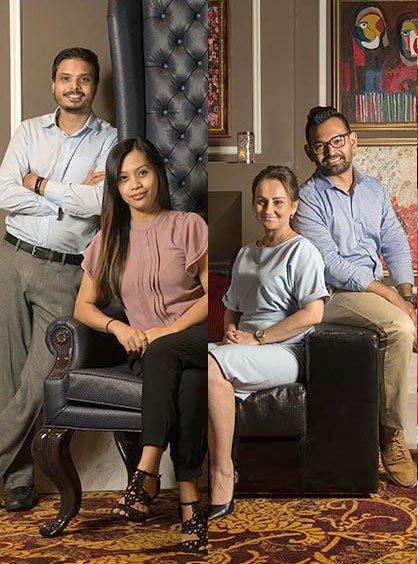 Vast interiors in soothing hues will delight you, from the convivial living and dining area to the tranquil bathroom, all with stunning panoramic views. 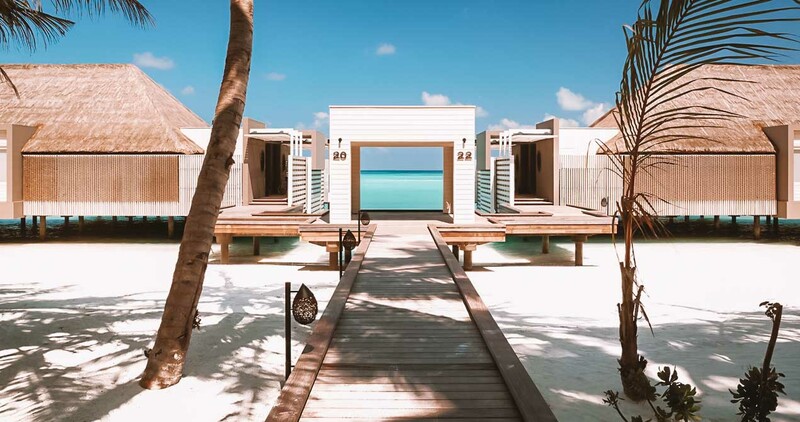 Perched on traditional stilts over Noonu atoll’s translucent waters, the 15 Water Villas, each 240 sqm (2,580 sqft) at Cheval Blanc Randheli, offer an unforgettable seaside living experience. 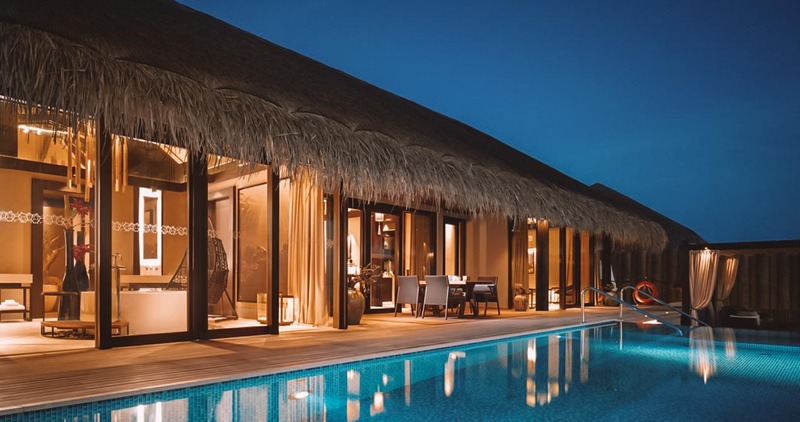 Generous overwater decks feature a dining pontoon and an outdoor lounge as well as a refreshing rain shower and a 12.5-meter-long private infinity pool. An extremely romantic experience especially for couples. 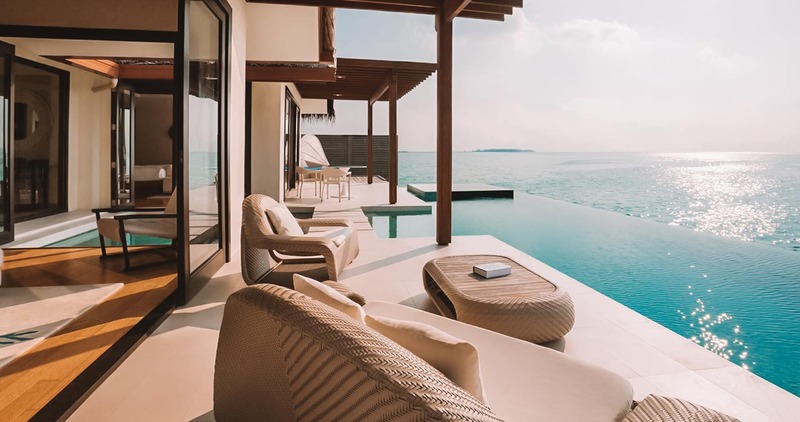 Embrace the romantic atmosphere provided by the yellow sun and turquoise waters throughout the day at Velaa Private Island. This villa is separated by canvas sails and wooden pillars with intricate details. 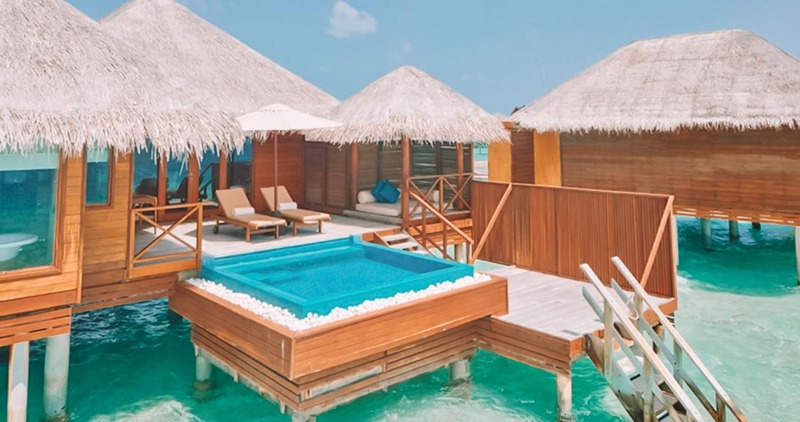 These Bungalows at Huvafen Fushi with their split-level layout lead into the tropical waters. This bungalow is 130 sqm in size. 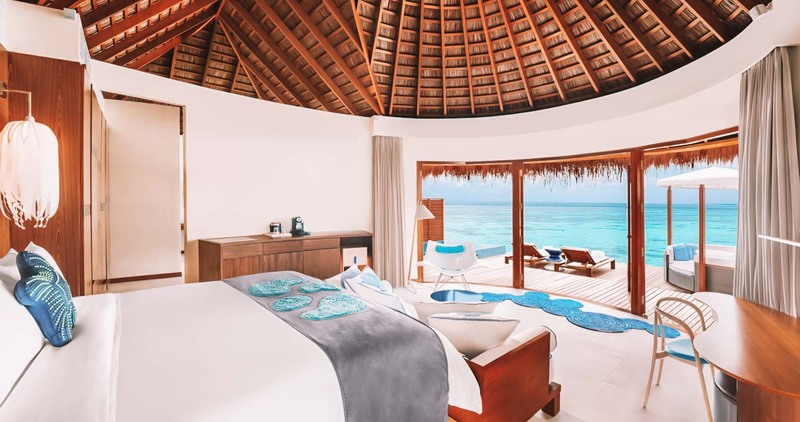 Niyama Maldives offers a one-bedroom luxury with expansive living and dining area. A grand foyer to explore. Sun deck days. Chaise longue nights. Ultimate modernity. Ultimate pampering. The good life, Maldivian style.